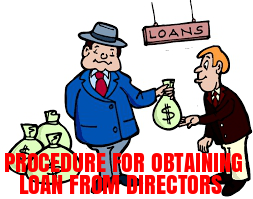 As per the provisions of Section 179(3)(d) of the Companies Act, 2013 the Board of Directors of a company can exercise the power “to borrow monies” only by means of resolutions passed at meetings of the Board. 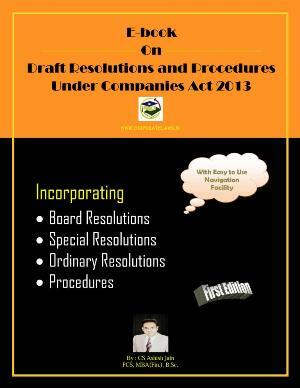 As per the provisions of Section 180(1)(c) of the Companies Act, 2013 if a company wants to borrow money, where the money to be borrowed, together with the money already borrowed by the company will exceed aggregate of its paid-up share capital and free reserves, apart from temporary loans obtained from the company‘s bankers in the ordinary course of business, the Board of Directors can do so only with the consent of shareholders by way of special resolution. Step 1: Obtain the declaration from director as required under Rule 2(1) (vii) of The Companies (Acceptance of Deposits) Rules, 2014 that the funds are owned funds not borrowed funds. 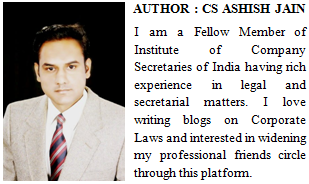 Case 1 : If loan accepting from director along with borrowing already made by Company is within the limit of “Paid up share capital + Free Reserve. => Convene and hold a board meeting and pass the necessary resolution. => File the Board Resolution as required to be filed u/s 179(3) in Form MGT-14 within 30 days of passing the resolution. => Issue Notice of the General meeting to all Members, Directors and the Auditors of the company in accordance with the provisions of Section 102 of the Companies Act, 2013. => File certified true copy of the special resolution in Form MGT – 14 within thirty days of passing of the resolution with the ROC along with the explanatory statement annexed to the notice of the general meeting and the prescribed filing fee. Step 3 : Convene and hold a Board Meeting and pass resolution for acceptance of loan from Director. Step 4: File certified true copy of the board resolution in Form MGT – 14 within 30 days of passing of the resolution with the ROC.